MARC (MAchine-Readable Cataloging) standards are a set of digital formats for the description of items catalogued by libraries, such as books. Working with the Library of Congress, American computer scientist Henriette Avram developed MARC in the 1960s to create records that could be read by computers and shared among libraries. By 1971, MARC formats had become the US national standard for dissemination of bibliographic data. Two years later, they became the international standard. There are several versions of MARC in use around the world, the most predominant being MARC 21, created in 1999 as a result of the harmonization of U.S. and Canadian MARC formats, and UNIMARC, widely used in Europe. 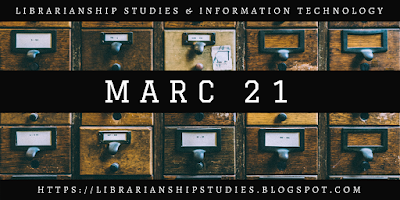 The MARC 21 family of standards now includes formats for authority records, holdings records, classification schedules, and community information, in addition to the format for bibliographic records. MARC 21 was designed to redefine the original MARC record format for the 21st century and to make it more accessible to the international community. MARC 21 has formats for the following five types of data: Bibliographic Format, Authority Format, Holdings Format, Community Format, and Classification Data Format. Currently MARC 21 has been implemented successfully by The British Library, the European Institutions and the major library institutions in the United States, and Canada. MARC 21 is a result of the combination of the United States and Canadian MARC formats (USMARC and CAN/MARC). MARC21 is based on the NISO/ANSI standard Z39.2, which allows users of different software products to communicate with each other and to exchange data. MARC 21 allows the use of two character sets, either MARC-8 or Unicode encoded as UTF-8. MARC-8 is based on ISO 2022 and allows the use of Hebrew, Cyrillic, Arabic, Greek, and East Asian scripts. MARC 21 in UTF-8 format allows all the languages supported by Unicode. The future of the MARC formats is a matter of some debate among libraries. On the one hand, the storage formats are quite complex and are based on outdated technology. On the other, there is no alternative bibliographic format with an equivalent degree of granularity. The billions of MARC records in tens of thousands of individual libraries (including over 50,000,000 belonging to the OCLC consortium alone) create inertia. The Library of Congress has launched the Bibliographic Framework Initiative (BIBFRAME), which aims at providing a replacement for MARC that provides greater granularity and easier re-use of the data expressed in multiple catalogs. A MARC record is composed of three elements: the record structure, the content designation, and the data content of the record. The record structure is an implementation of the international standard Format for Information Exchange (ISO 2709) and its American counterpart, Bibliographic Information Interchange (ANSI/NISO Z39.2). The content designation--the codes and conventions established explicitly to identify and further characterize the data elements within a record and to support the manipulation of that data--is defined by each of the MARC formats. The content of the data elements that comprise a MARC record is usually defined by standards outside the formats. Examples are the International Standard Bibliographic Description (ISBD), Anglo-American Cataloguing Rules, Library of Congress Subject Headings (LCSH), or other cataloging rules, subject thesauri, and classification schedules used by the organization that creates a record. The content of certain coded data elements is defined in the MARC formats (e.g., the Leader, field 007, field 008). Books (BK) - used for printed, electronic, manuscript, and microform textual material that is monographic in nature. Continuing resources (CR) - used for printed, electronic, manuscript, and microform textual material that is issued in parts with a recurring pattern of publication (e.g., periodicals, newspapers, yearbooks). (NOTE: Prior to 2002, Continuing resources (CR) were referred to as Serials (SE)). Computer files (CF) - used for computer software, numeric data, computer-oriented multimedia, online systems or services. Other classes of electronic resources are coded for their most significant aspect. Material may be monographic or serial in nature. Maps (MP) - used for all types of printed, electronic, manuscript, and microform cartographic materials, including atlases, sheet maps, and globes. Material may be monographic or serial in nature. Music (MU) - used for printed, electronic, manuscript, and microform music, as well as musical sound recordings, and non-musical sound recordings. Material may be monographic or serial in nature. Visual materials (VM) - used for projected media, non-projected media, two-dimensional graphics, three-dimensional artifacts or naturally occurring objects, and kits. Material may be monographic or serial in nature. Mixed materials (MX) - used primarily for archival and manuscript collections of a mixture of forms of material. Material may be monographic or serial in nature. (NOTE: Prior to 1994, Mixed materials (MX) were referred to as Archival and manuscript material (AM)). MARC bibliographic records are distinguished from all other types of MARC records by specific codes in Leader/06 (Type of record) which identifies the following bibliographic record types. 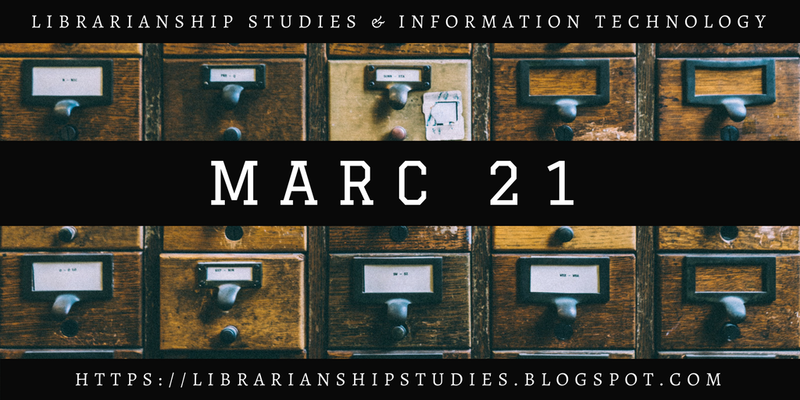 A MARC bibliographic record consists of three main components: the Leader, the Directory, and the variable fields. The following information summarizes the structure of a separate MARC record. More detail is provided in MARC 21 Specifications for Record Structure, Character Sets, and Exchange Media. Leader - Data elements that primarily provide information for the processing of the record. The data elements contain numbers or coded values and are identified by relative character position. The Leader is fixed in length at 24 character positions and is the first field of a MARC record. Directory - A series of entries that contain the tag, length, and starting location of each variable field within a record. Each entry is 12 character positions in length. Directory entries for variable control fields appear first, sequenced by the field tag in increasing numerical order. Entries for variable data fields follow, arranged in ascending order according to the first character of the tag. The stored sequence of the variable data fields in a record does not necessarily correspond to the order of the corresponding Directory entries. Duplicate tags are distinguished only by the location of the respective fields within the record. The Directory ends with a field terminator character (ASCII 1E hex). Variable fields - The data in a MARC bibliographic record is organized into variable fields, each identified by a three-character numeric tag that is stored in the Directory entry for the field. Each field ends with a field terminator character. The last variable field in a record ends with both a field terminator and a record terminator (ASCII 1D hex). There are two types of variable fields. Variable control fields - The 00X fields. These fields are identified by a field tag in the Directory but they contain neither indicator positions nor subfield codes. The variable control fields are structurally different from the variable data fields. They may contain either a single data element or a series of fixed-length data elements identified by relative character position. Variable data fields - The remaining variable fields defined in the format. In addition to being identified by a field tag in the Directory, variable data fields contain two indicator positions stored at the beginning of each field and a two-character subfield code preceding each data element within the field. The variable data fields are grouped into blocks according to the first character of the tag, which with some exceptions identifies the function of the data within the record. The type of information in the field is identified by the remainder of the tag. 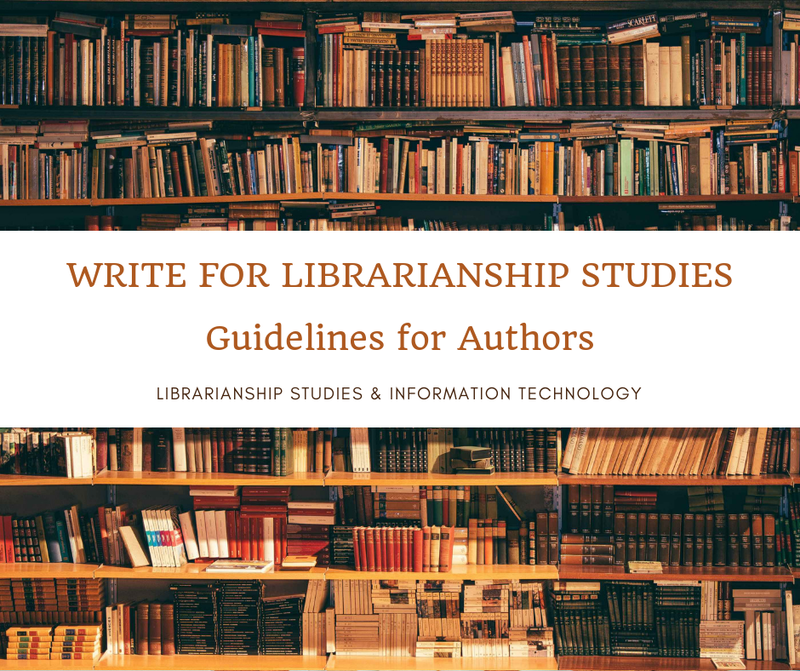 Following describe the intellectual and physical characteristics of bibliographic resources (books, sound recordings, video recordings, and so forth). Provide information about individual names, subjects, and uniform titles. An authority record establishes an authorized form of each heading, with references as appropriate from other forms of the heading. Provide copy-specific information on a library resource (call number, shelf location, volumes held, and so forth). MARC records containing classification data. For example, the Library of Congress Classification has been encoded using the MARC 21 Classification format. MARC records describing a service-providing agency, such as a local homeless shelter or tax assistance provider. 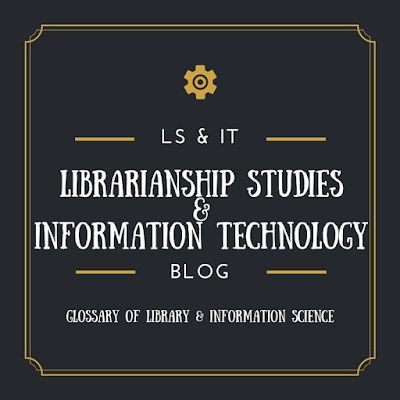 See more ... Library and Information Science - Did You Know? This article is a Stub. It will be expanded to achieve the level of a proper encyclopedia article. 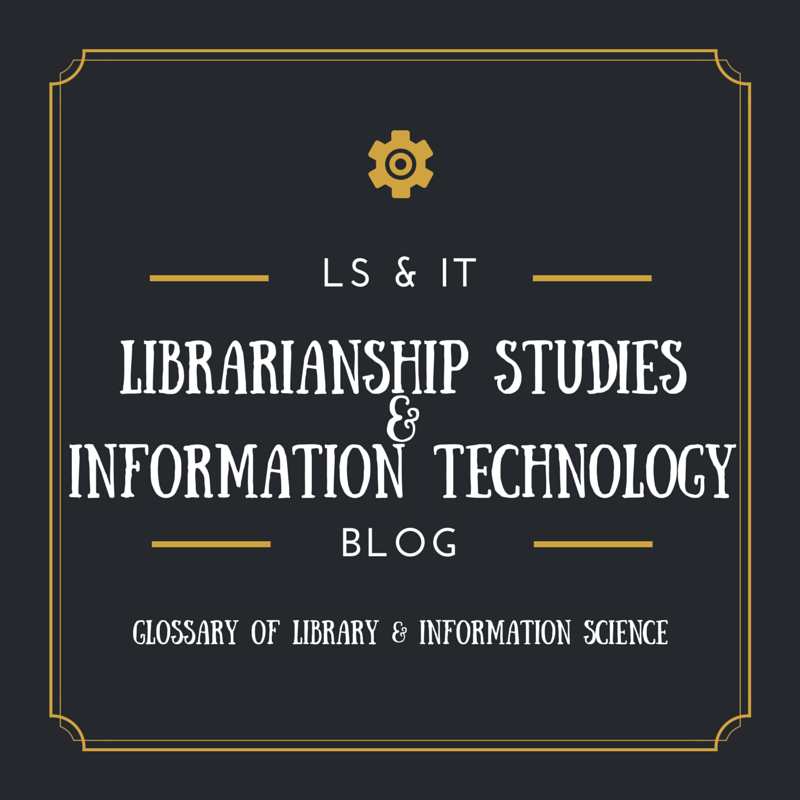 Library and Information Science - Did You Know?